Looking at a map of North America, the Great Divide shows which ocean any point of land drains to. Looking at either side, the drainage basins of major rivers divide that area, and the drainage regions of the branches and tributaries of each river divide that river's basin. Therefore: Fractal River Basins. Fractal River Basins - Extracts from Fractal River Basins: Chance and Self-organization - Ignacio Rodríguez-Iturbe, Andrea Rinaldo. Adding Realistic Rivers to Random Terrain - by David Clyde. Ontogenetic. Projects - David Clyde's project page. Site appears to be temporarily down. Generating rivers - discussion on the rec.games.roguelike.development newsgroup. Creating rivers - article on rivers for Umbrarum Regnum. 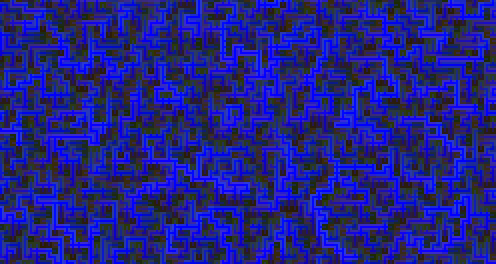 Fractal Drainage Patterns - a java applet with explanation of algorithm. Teleological. A Fractal Model of Mountains with Rivers [PDF] A paper combining squig curves and midpoint displacement to generate mountains with rivers. Ontogenetic. RiverLand: An Efficient Procedural Modeling System for Creating Realistic-Looking Terrains [PDF] A paper on a system for generating rivers, then working back from the rivers to drainage basins and a height map. Ontogenetic.